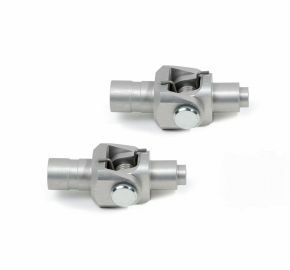 LSL footpegs and fold up brackets are CNC machined from aircraft grade billet aluminum then anodized for weather protection. 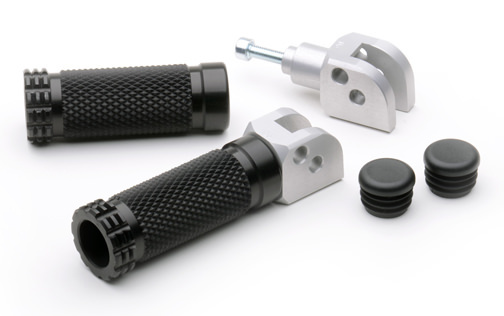 LSL sells the pegs and brackets separately to allow you to pick the peg color and style that suites your needs best. 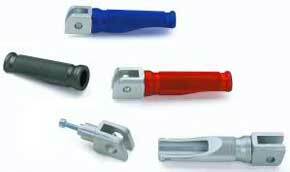 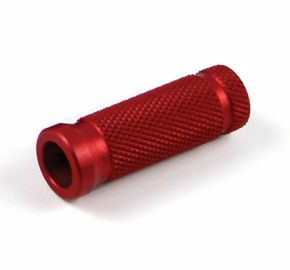 The standard pegs have a length of 3 1/4". 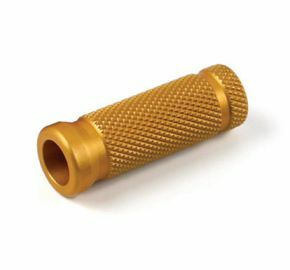 The standard pegs are scalloped whereas the Race pegs are completely round. 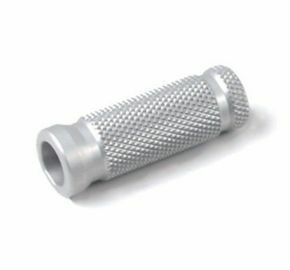 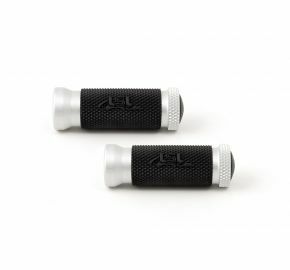 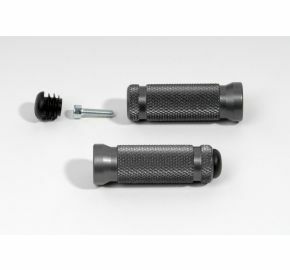 LSL Race footpegs have deeper knurling for sure footed grip, and are shorter than standard pegs for added ground clearance. 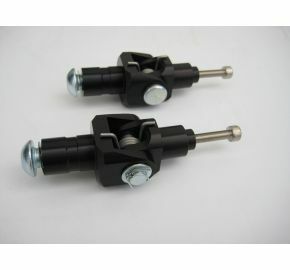 The Race pegs have a length of 2 3/4". 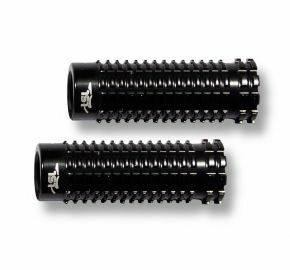 The LSL Extreme foot pegs have a deeply knurled surface and offer the best grip. 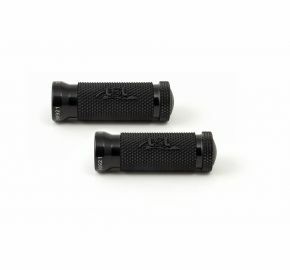 Length is 3". 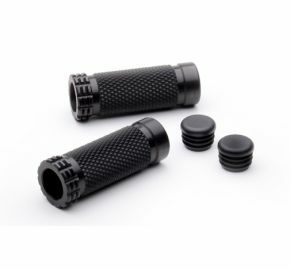 Available black anodized.